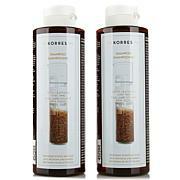 Korres Pure Greek Olive Oil Shine Shampoo - 8.45 fl. oz. 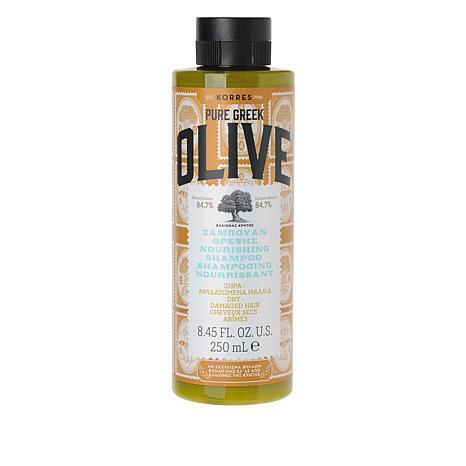 This nourishing shampoo for dry, damaged hair helps to cleanse the scalp while soothing and moisturizing it, helping to fight against free radical aggressors for healthier-looking hair. 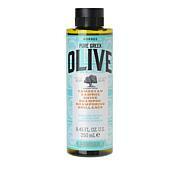 High-quality olive oil extracted from the silver-green olive groves of Crete is incorporated in this cosmetic formulation. 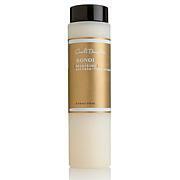 Ingredients: AQUA/WATER/EAU, SODIUM LAURETH SULFATE, COCAMIDOPROPYL BETAINE, GLYCERIN, LAURETH-7 CITRATE, ACRYLATES COPOLYMER, GLYCOL DISTEARATE, ALTHAEA OFFICINALIS ROOT EXTRACT, BENZOIC ACID, BENZYL ALCOHOL, BUTYLENE GLYCOL, COCO-GLUCOSIDE, COUMARIN, DECYL GLUCOSIDE, DEHYDROACETIC ACID, DICAPRYLYL ETHER, GLYCERYL OLEATE, GLYCERYL STEARATE, GUAR HYDROXYPROPYLTRIMONIUM CHLORIDE, HEXYL CINNAMAL, HYDROLYZED WHEAT PROTEIN, HYDROLYZED WHEAT STARCH, LACTIC ACID, LACTITOL, LEVULINIC ACID, LIMONENE, LIMONIUM GERBERI EXTRACT, LINALOOL, LINUM USITATISSIMUM (LINSEED) SEED EXTRACT, NIACINAMIDE, OLEA EUROPAEA (OLIVE) LEAF EXTRACT, ORIGANUM DICTAMNUS FLOWER/LEAF/STEM EXTRACT, ORIGANUM MAJORANA LEAF EXTRACT, PANTHENOL, PARFUM/FRAGRANCE, PHENOXYETHANOL, POLYQUATERNIUM-10, POTASSIUM SORBATE, PRUNUS AMYGDALUS DULCIS (SWEET ALMOND) FRUIT EXTRACT, SALICYLIC ACID, SIDERITIS SYRIACA EXTRACT, SODIUM BENZOATE, SODIUM COCOAMPHOACETATE, SODIUM HYDROXIDE, SODIUM LEVULINATE, SORBIC ACID, TETRASODIUM GLUTAMATE DIACETATE, TOCOPHERYL ACETATE, XANTHAN GUM, XYLITOL.